Following on from the roundness of the pregnant body, welcome to my mandala gallery. 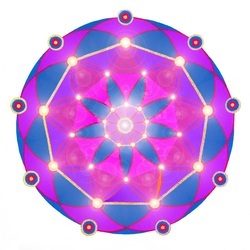 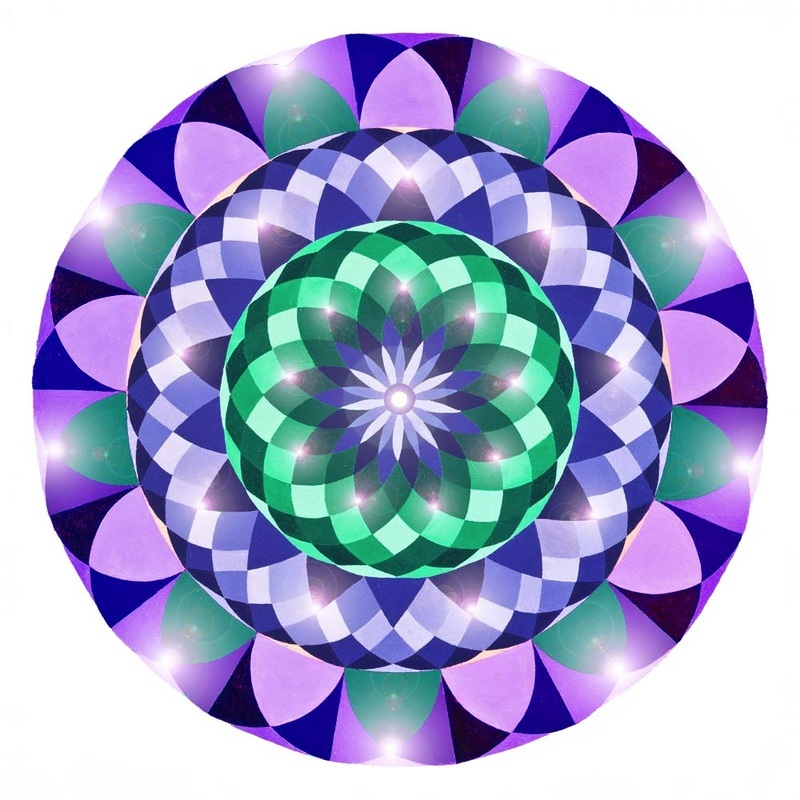 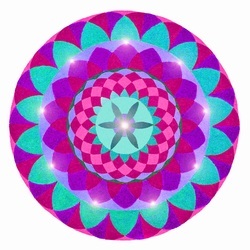 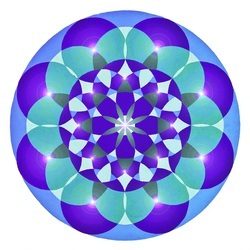 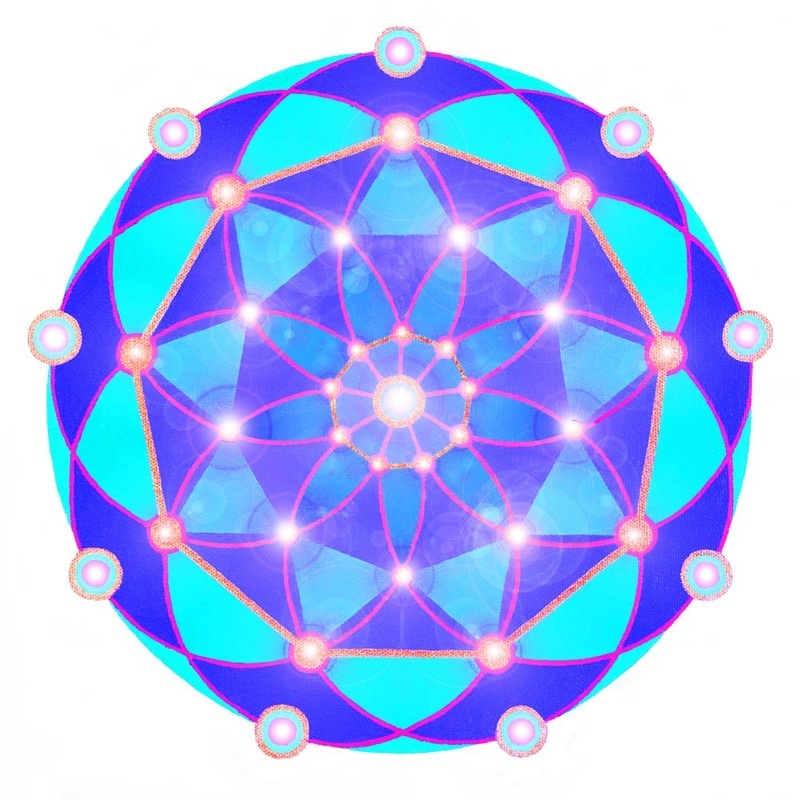 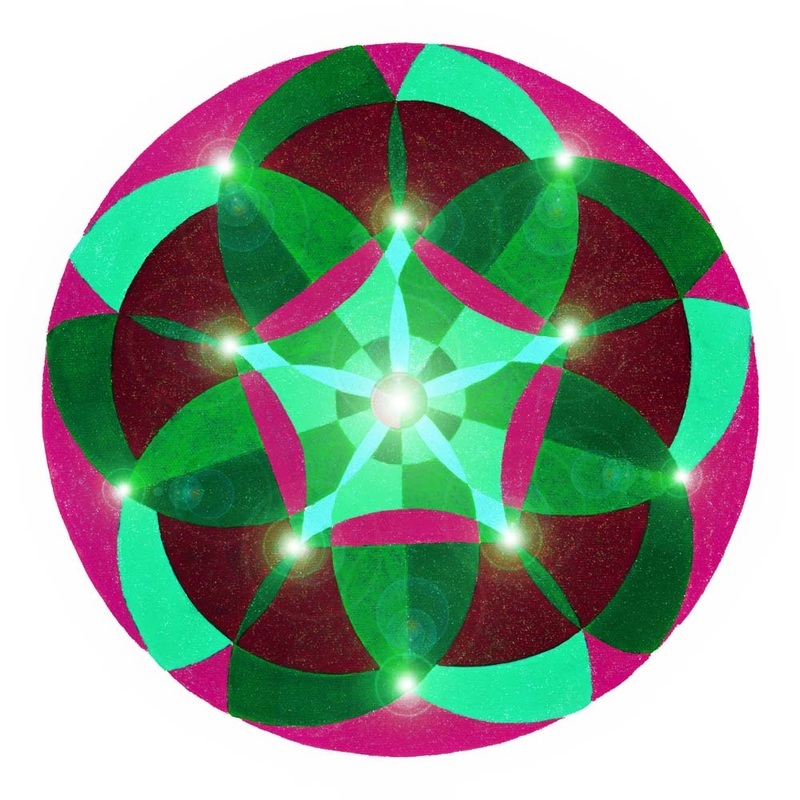 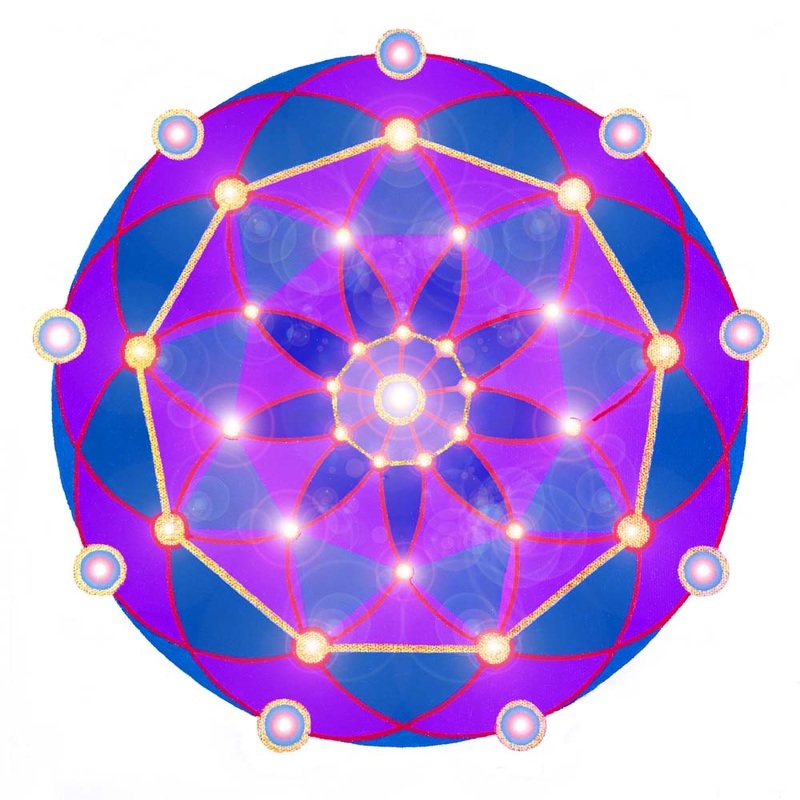 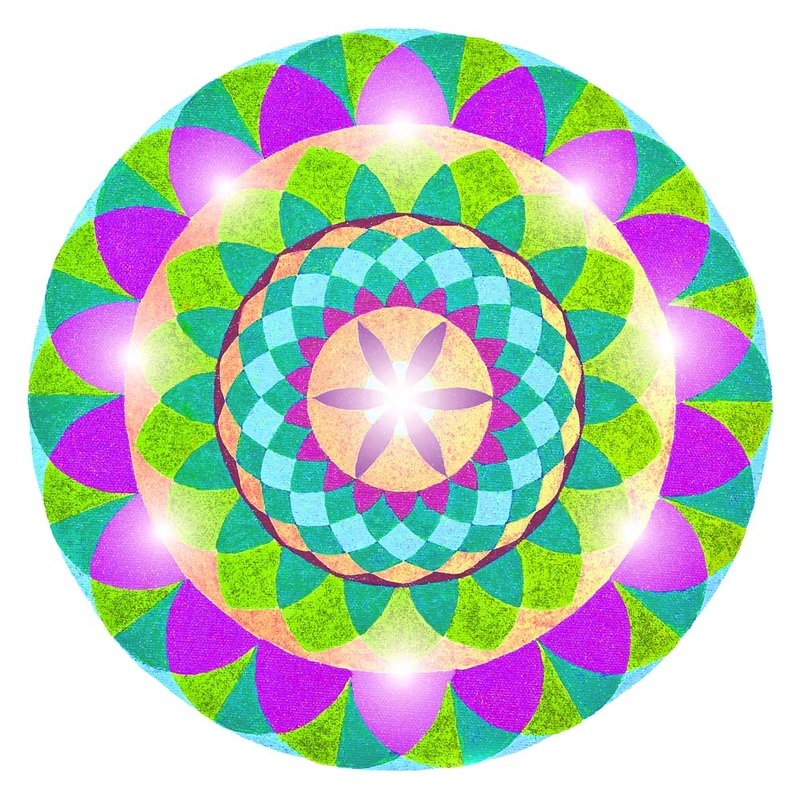 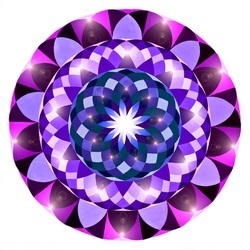 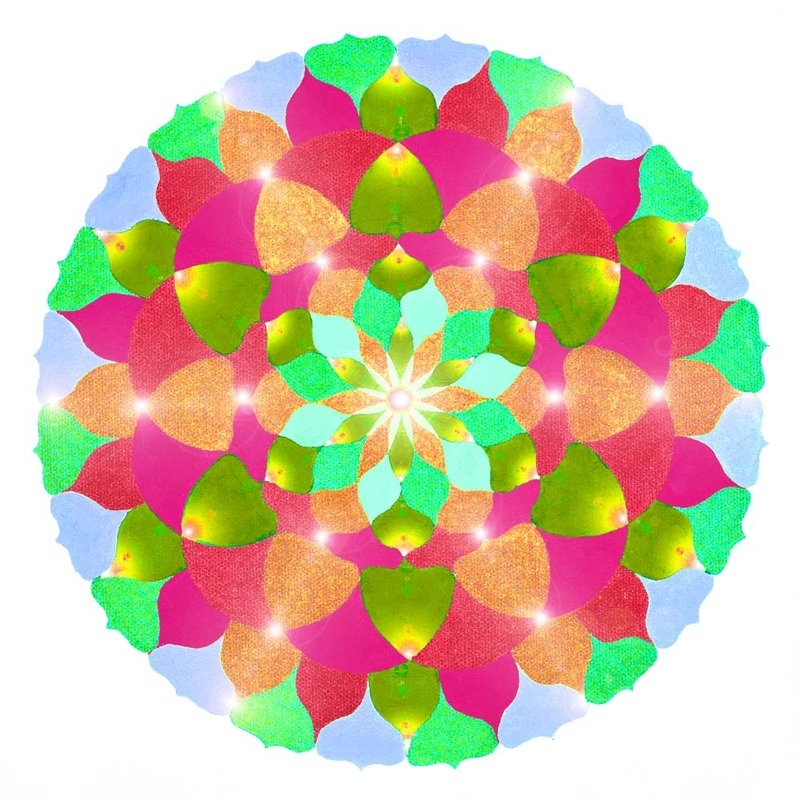 Click on any mandala to enlarge it and view its name. 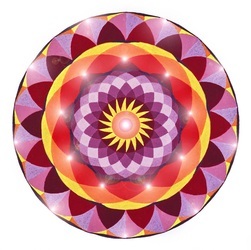 Mandala is a circular form to represent the universe in Hindu and Buddhist symbolism. 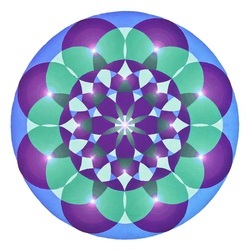 The circle has no beginning and no end. Mandalas are trans-cultural, timeless, and appear everywhere in nature. Throughout time they have been used to represent and symbolise many things including the natural cyclical expression of form. They can be perceived as in the Earth's rotation, the planetary orbits, the rings of trees, or by the ripple in still water. 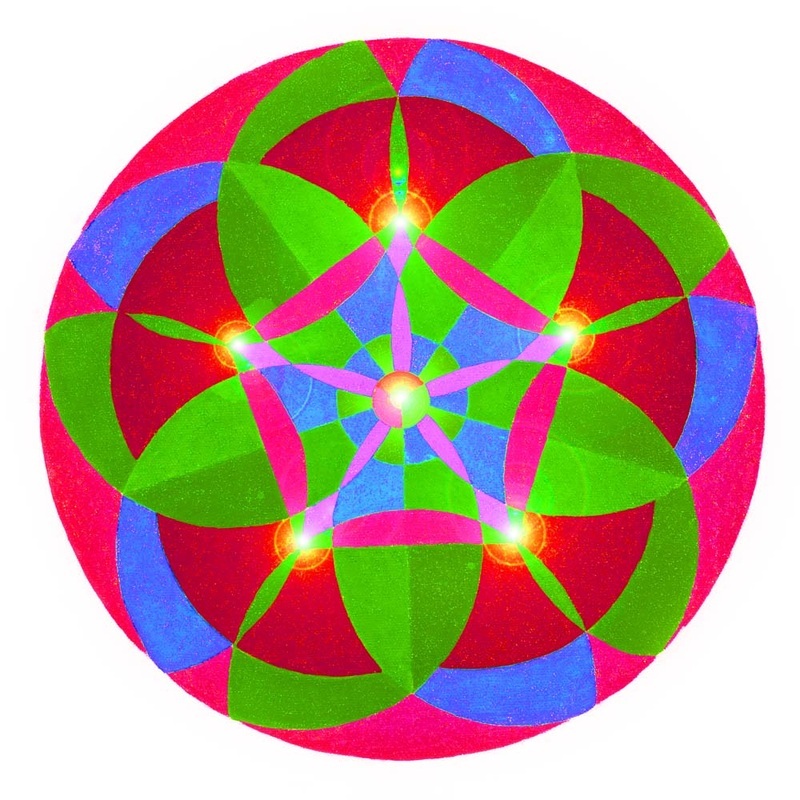 Mandalas are also used to represent the unborn, uncreated, undying expression of formlessness. 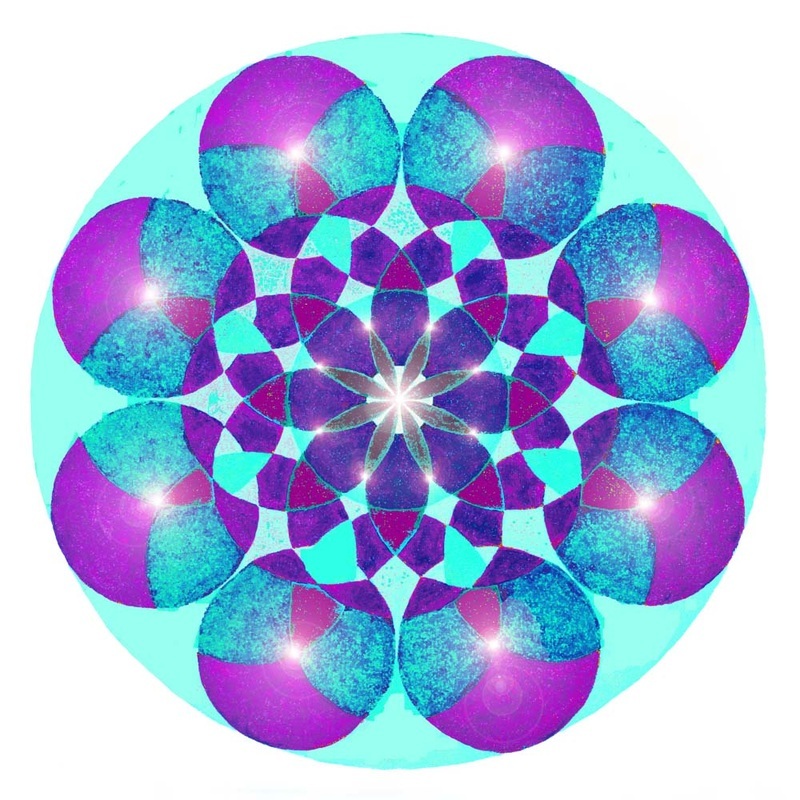 They are used as a tool to facilitate spiritual contemplation and meditation. 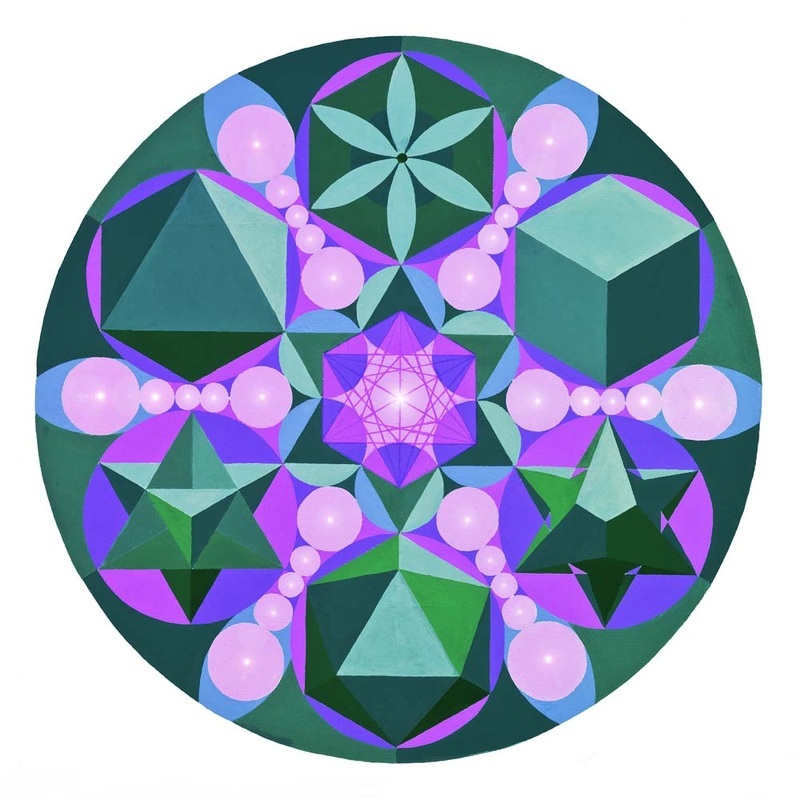 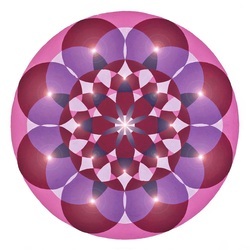 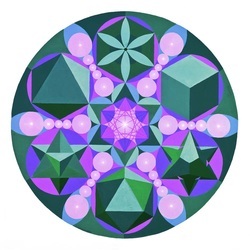 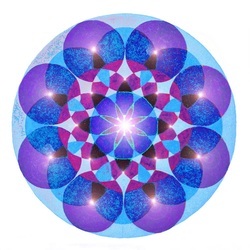 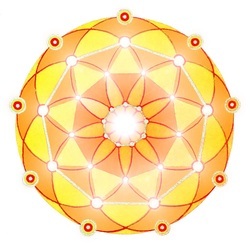 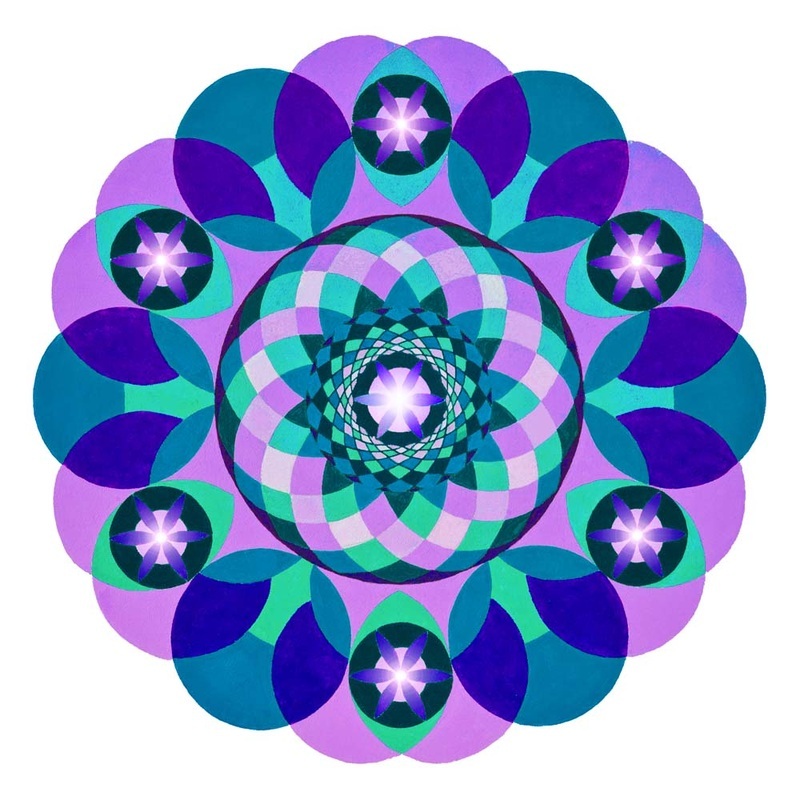 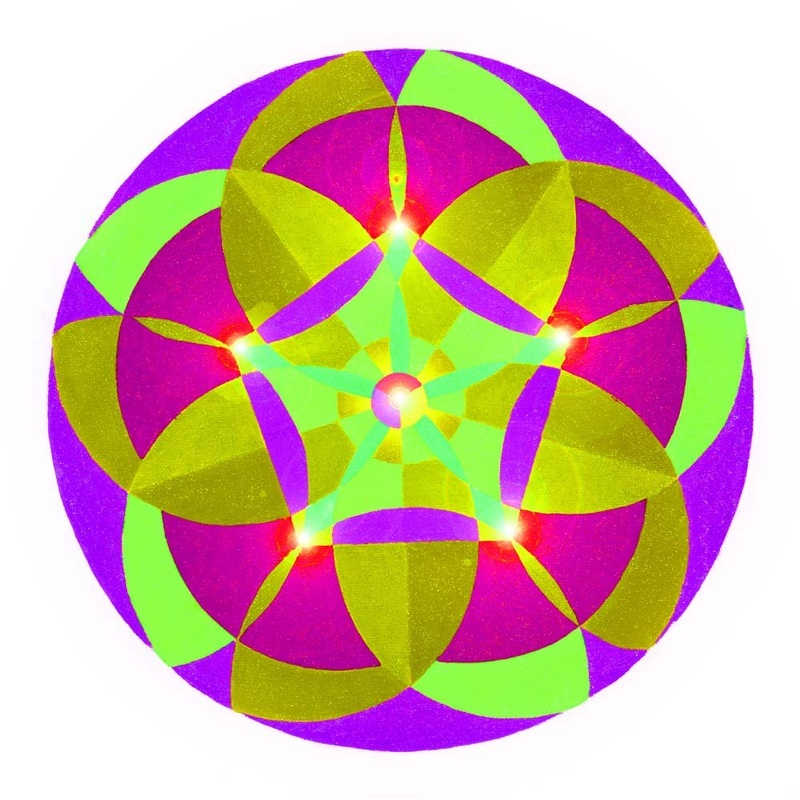 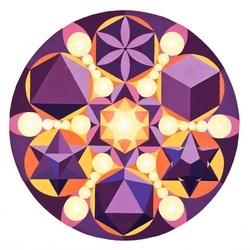 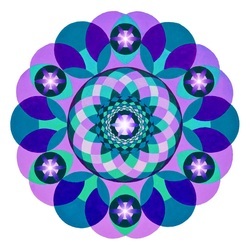 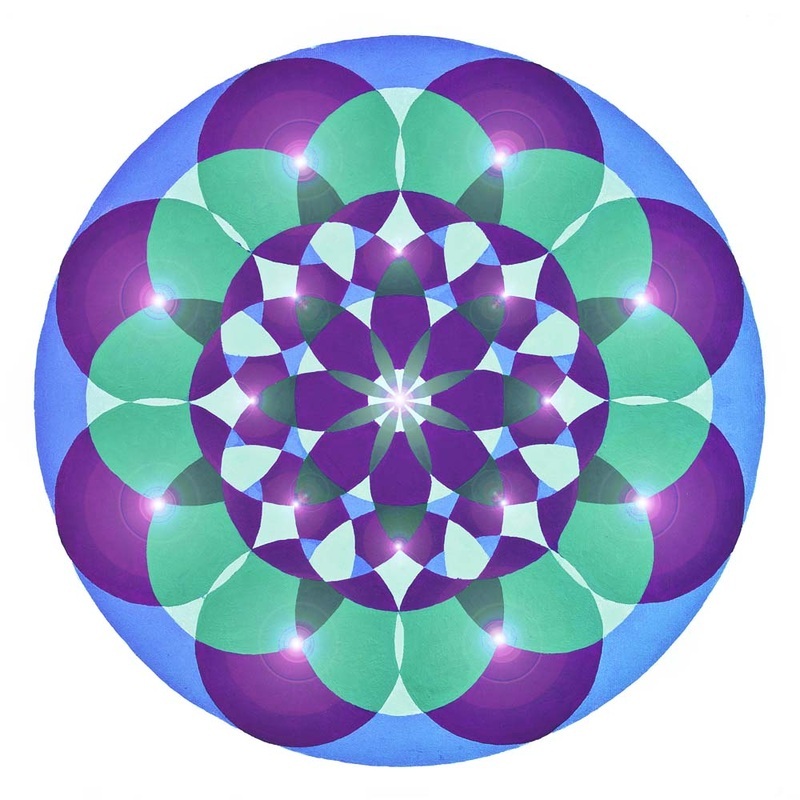 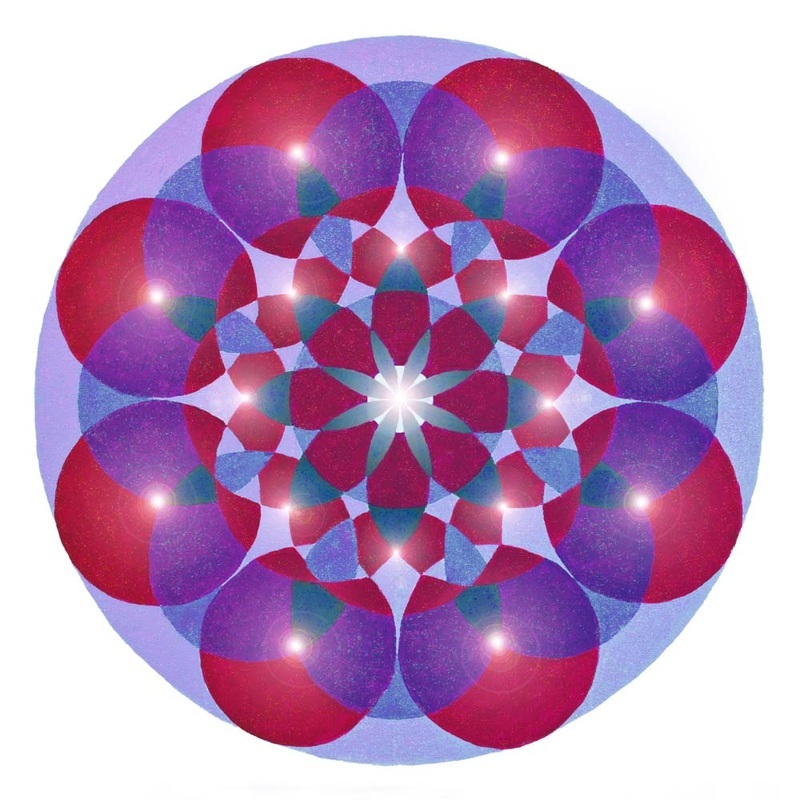 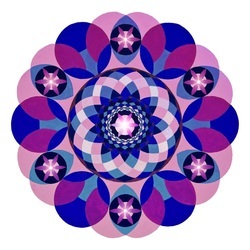 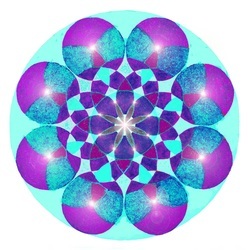 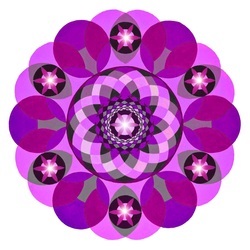 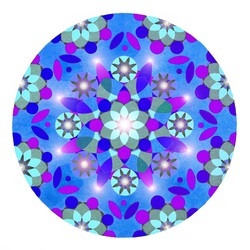 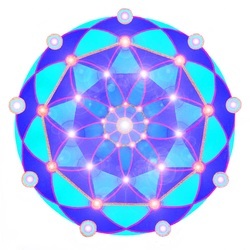 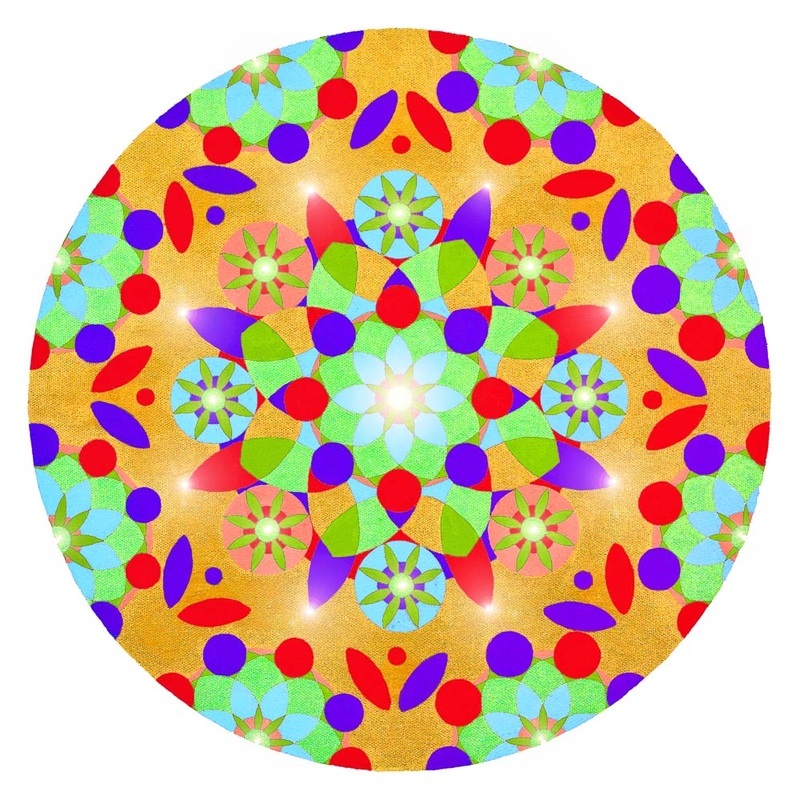 By means of visual contemplation or through the creation of mandalas (open-eyed meditation), the potential for moving the witness into pure awareness may be realised. 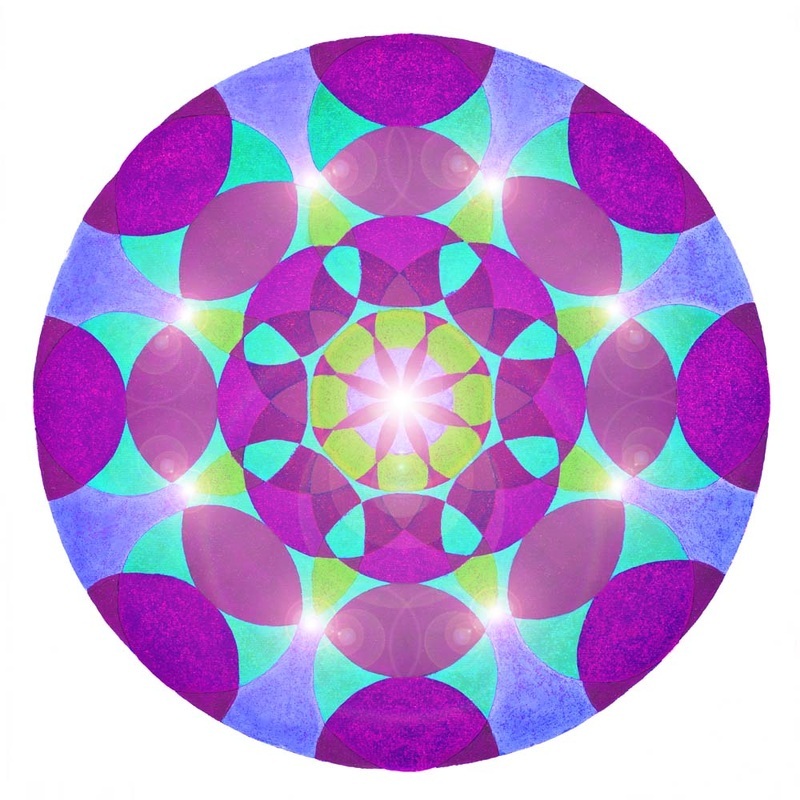 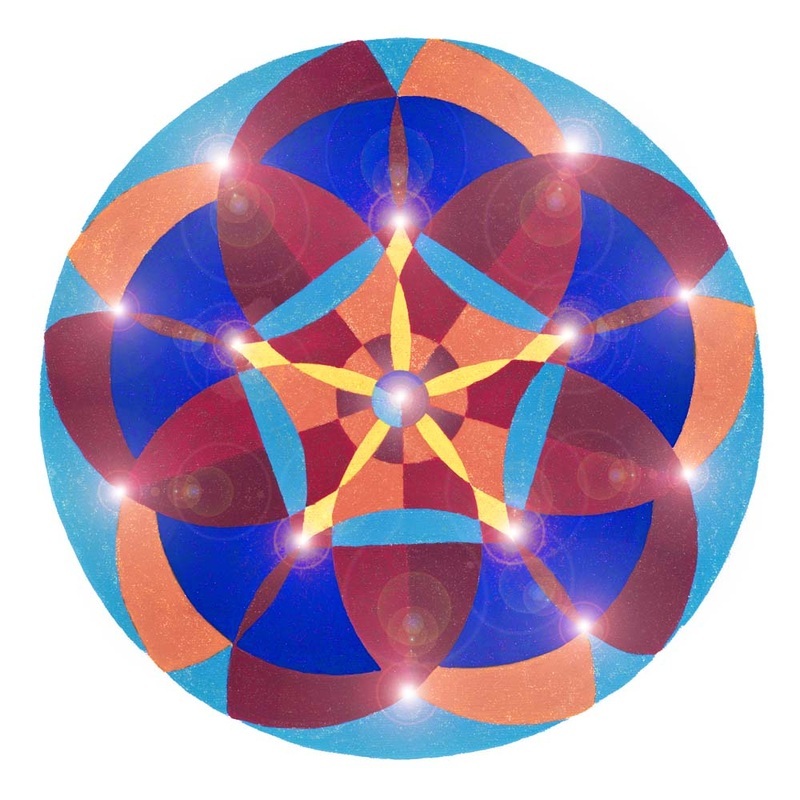 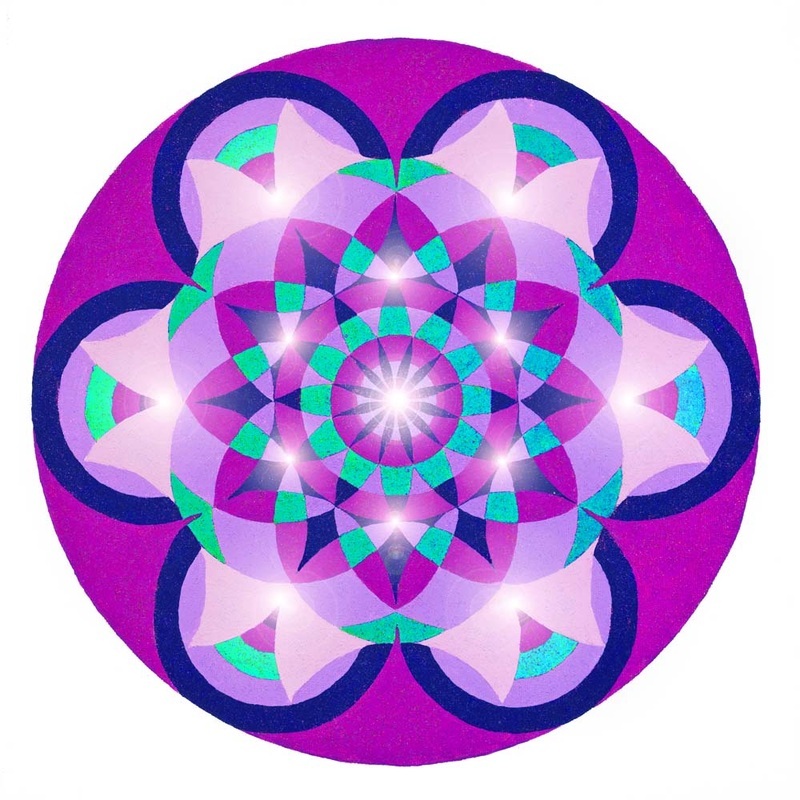 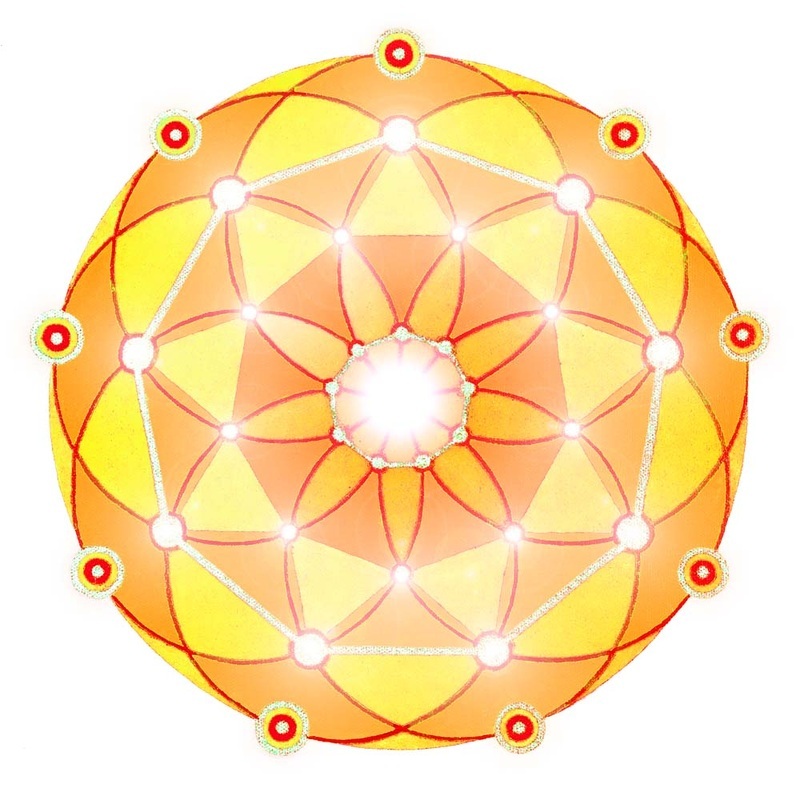 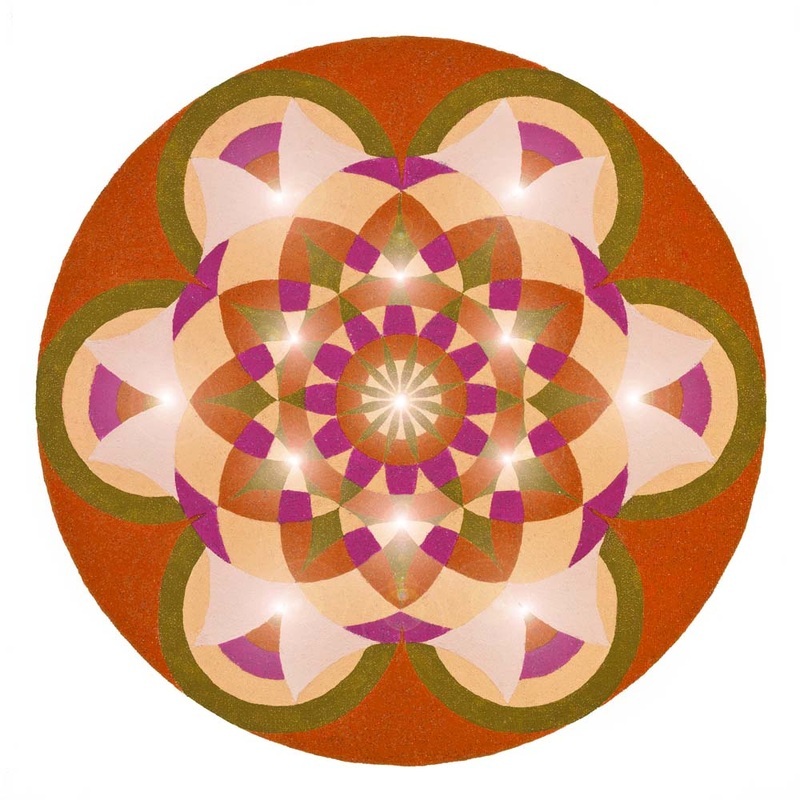 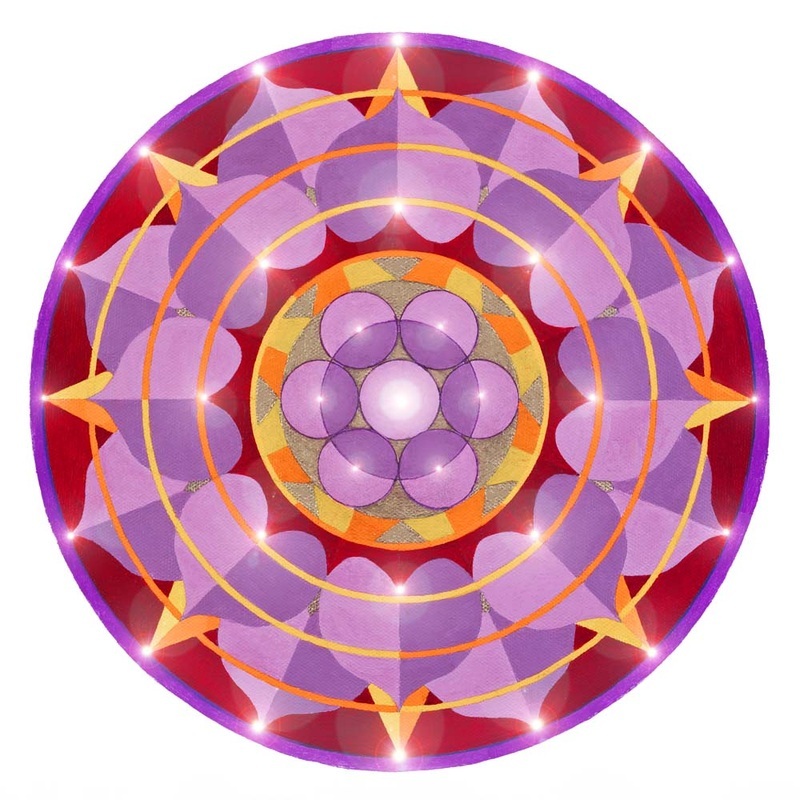 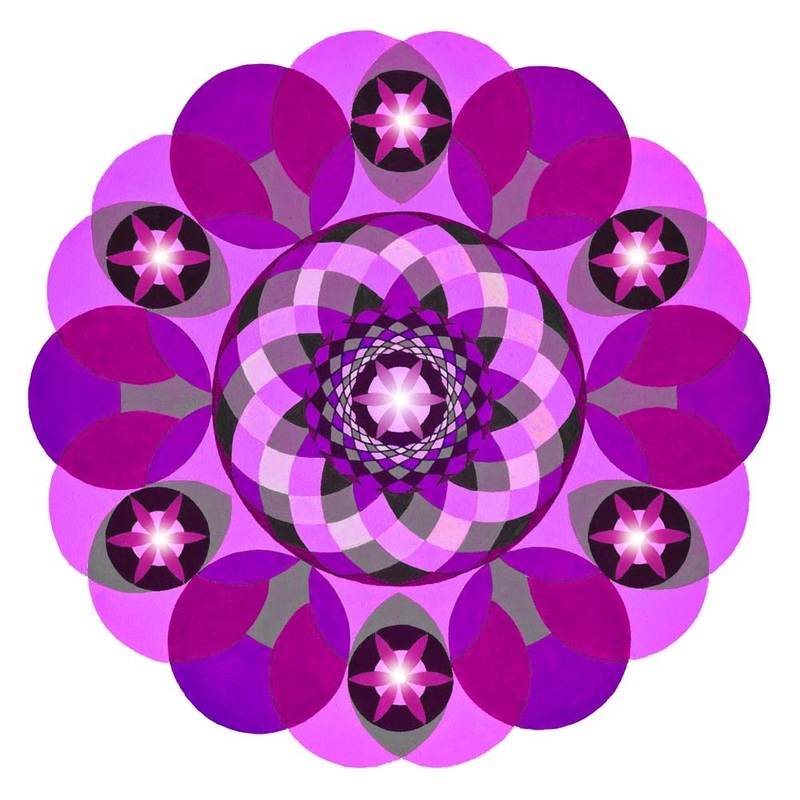 In this way, mandalas become a vehicle for true nature to be experienced as oneness.